Wow it’s been a busy week! I was blessed to speak to 2 very different generations on the same day this week. 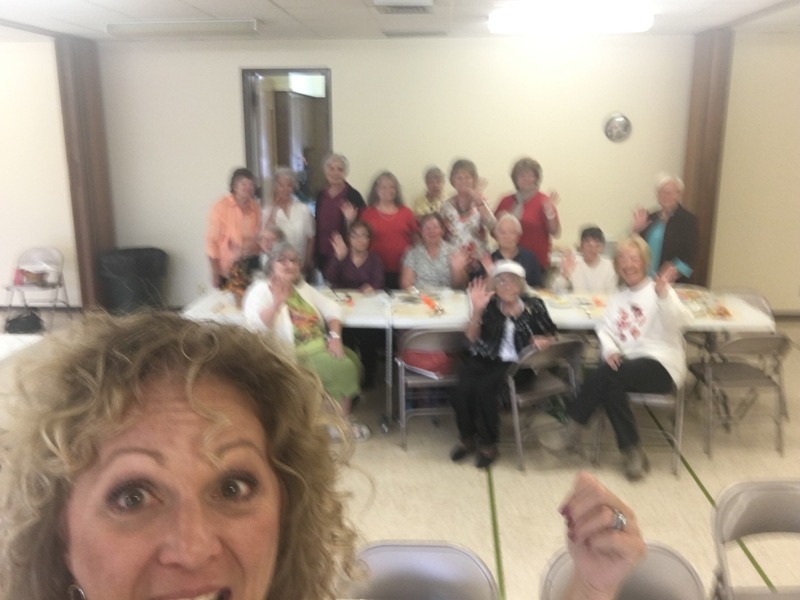 In the morning, I spoke to the Pinckneyville IL Church Women’s United Group. Pretty safe to say the average age of these mighty women of God was 70ish. 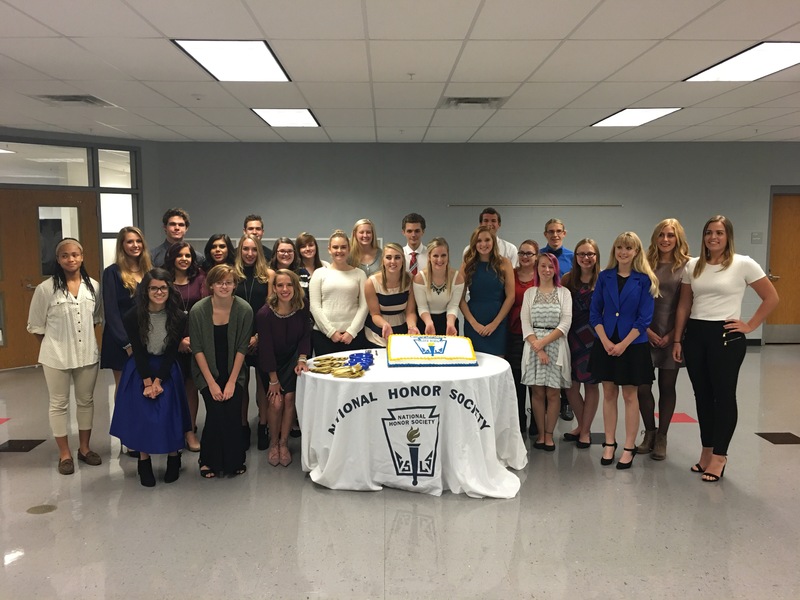 Then I spent the evening speaking to the DuQuoin High School National Honor Societies Induction Ceremony on Service. 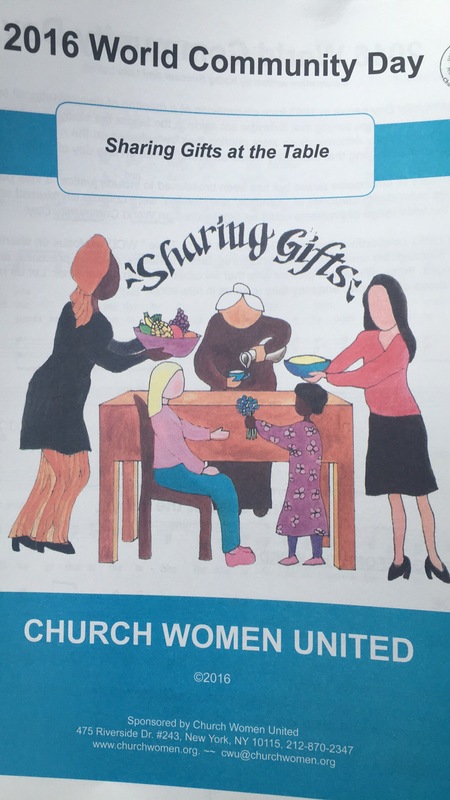 Here’s how cool God is: I’ve been booked for nearly a year for the Church Women United. They are a study and philanthropic group made up of ladies from area churches. Months ago, they asked me to speak on NubAbility Athletics Foundation. The organization I co-founded with my son and serve as the volunteer director of. As I prayed and prepared my talk, God emphasized a few items he wanted me to tie in with my presentation on NubAbility. I am like “God, what could I possibly have to offer to teach these ladies of this great generation?” HA! I should have learned from all of those Bible characters to not question God’s call. I don’t have anything to offer, but He does. I’m just a willing vessel of delivery. Thank God I was at least willing to step out in faith and just “go”. I’m certain the big fish would have swallowed me up if I chose to go the ways of my fears and insecurities. He called me to encourage them to use their gifts for service. Never mind that I figured that they’ve been doing that for decades now. I had no idea. Neither did the lady that booked me nearly a year ago! God. I began in connecting with the ladies by recognizing our similarities. We were all mothers or at the very least, have mothered someone. Then I explained how gifts I didn’t know I had, or I didn’t have the confidence to put into play emerged usually during times of struggle and diffulty or shined during past experiences of overwhelming responsibility in motherhood, careers, or relationships. Our gifts are honed during trials. I explained that using my gifts for service in building and growing NubAbility came about because of my mothers heart. As I returned home around noon, I began to organize my notes into a speech I was invited to deliver to the National Honor Society at our local high school. The topic was also on service! (C’mon on now, two generations, same day, same topic.HA, God your crazy!!) the predicament I found myself in, I had prepared for a 20 minute keynote and they firmly requested when I arrived, to deliver no more than 10 minutes of material. Heck, my video on NubAbility was 3 minutes long, PLUS I’ve never been able to deliver a message in 10 minutes! What did I do? I gave it to the crazy God that put me in that situation. I whittled down my note cards on the fly and delivered a 1-2-3 punch. I told the students their story is still being written. They are the main character but they can choose to write chapters where others are highlighted. In writing a story of service to others by using the resources of their supporting characters, (parents, friends, teachers, etc), utilizing their gifts and talents, and choosing service to intentionally make a difference will make them game changers in a world that’s full of self absorption. I guess it was effective as well. I saw tears. I don’t mean to make people cry. I know I also hear them laugh. But I do believe when the spirit is moved by the Holy Ghost, tears come. This group of local smarty pants are a group of amazing young men and women. I have known many of them since birth. It was an honor and a blessing to encourage them in their story. To say I was a bit anxious at delivering both of those presentations in the same day is an understatement. I did only what I knew how to do, cast all my cares and anxieties on Christ Jesus. He delivered as usual. Friends we serve an awesome God! He’s cray cray, but in a supernatural amazingly awesome way. I want to share this prayer with you written in TD Jakes Woman Though Art Loosed Bible. I highly recommend it for daily scripture reading if your a lady. 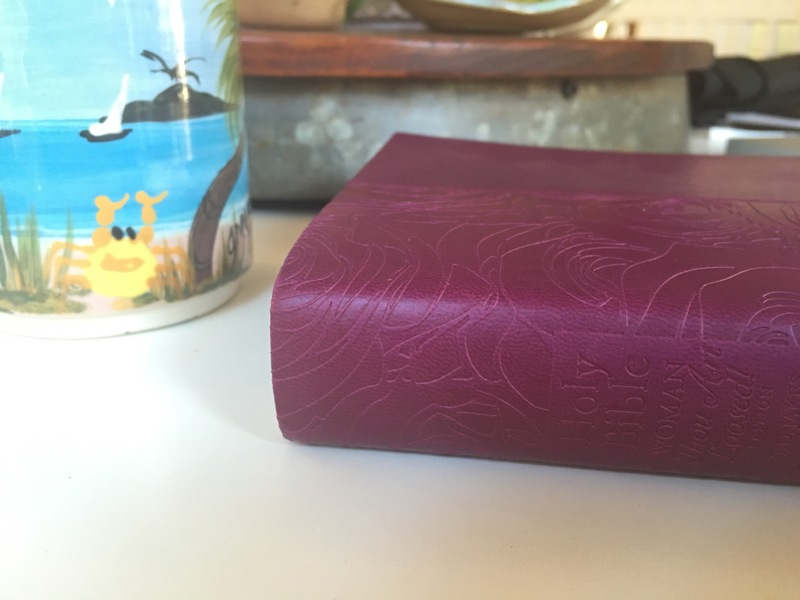 It’s not a study Bible, but it does have all kinds of beautiful nuggets of scriptural insight, gems of encouragement and truths that are based on scripture. It’s work is intended to encourage us frazzled women to let God set us loose to bring in his harvest. I’m praying this daily as each day brings a new challenge in the position of leadership he has placed me in. We are all called to be leaders. Hope this blesses you too! 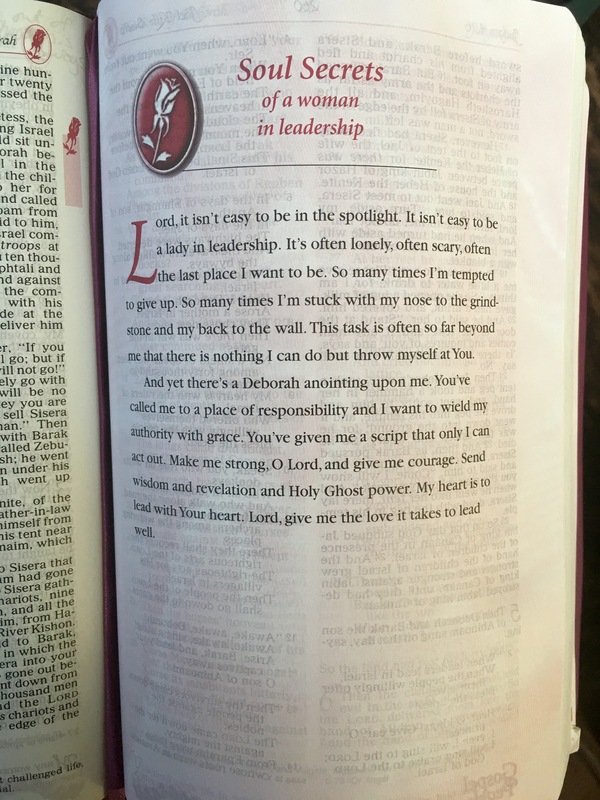 My heart is to lead with your heart Lord. Give me the love it takes to lead well. Be a blessing and straighten your crown! Previous Post Someone Stared At Your Kid and You Did What?